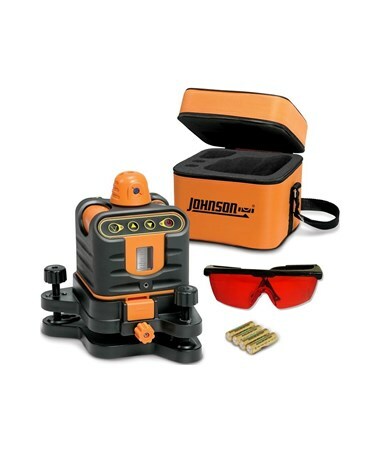 The Johnson 40-6502 Manual-Leveling Rotary Laser features manual leveling in both horizontal and vertical planes. 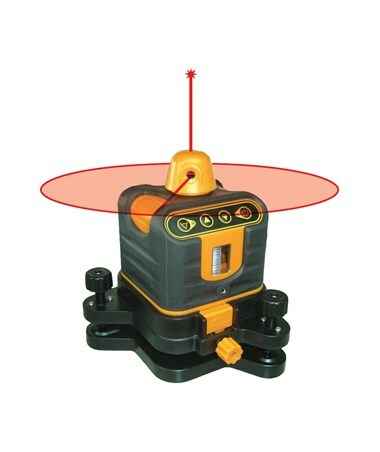 With an accuracy of ±1/8 inch at 30 feet, this rotary laser is ideal for ceiling and window installation, baseboard and dormer installation, hanging pictures, anti-static flooring installation and other indoor and outdoor applications. Also, it features an interior range up to 200 feet and an exterior range up to 800 feet with a laser receiver. Featuring a simultaneous 90-degree split beam, this manual-leveling laser allows the user to establish a horizontal or vertical plane. 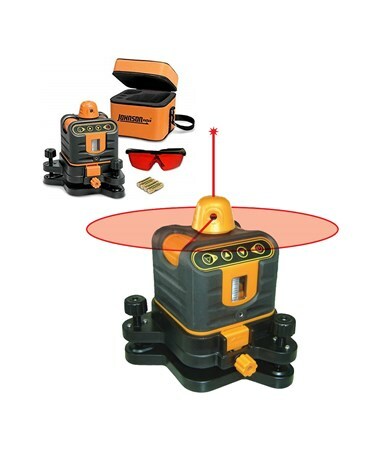 This rotary laser level offers three scan angles - 0, 30, and 60 degrees. This scan line can be moved clockwise or counter-clockwise and has a variable speed of 150 and 300 rotations per minute. Plus, it includes small, large and dot scan modes. 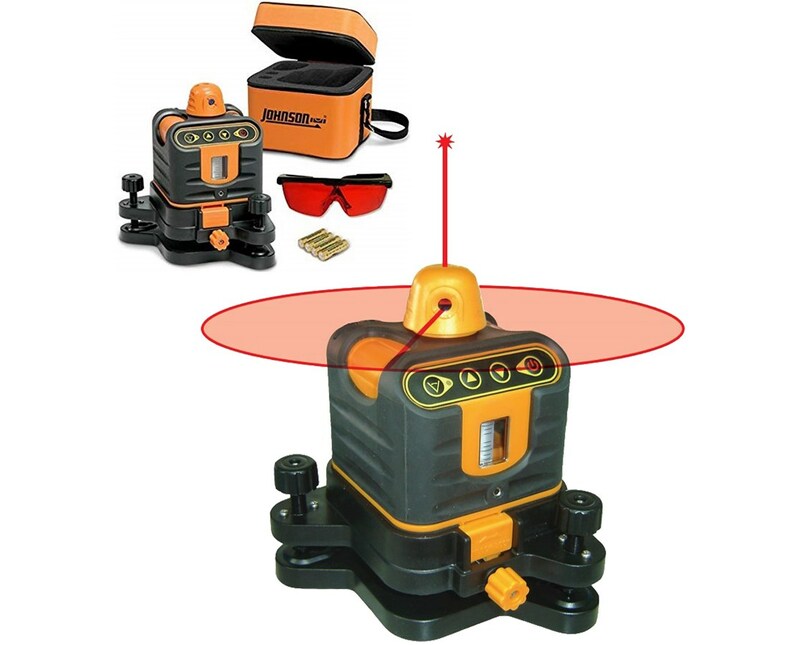 With a rugged housing, this rotary laser can easily withstand harsh job site conditions. It has protection class of IP54 which makes the unit dustproof and water resistant. Using alkaline batteries, it can operate up to 15 hours of continuous use. In addition, it comes with a 5/8-11 tripod thread that is compatible with most tripod brands. 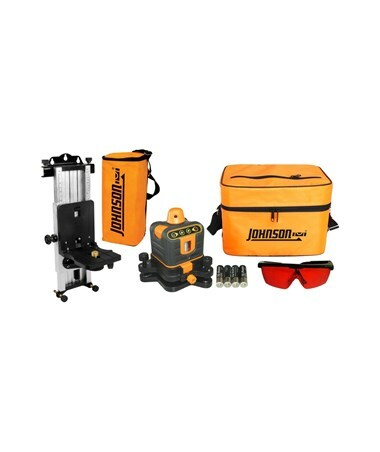 The Johnson 40-6502 Manual-Leveling Rotary Laser offers two packages with an optional wall mount and multi-function mount. All are supported by a three-year warranty. Please choose from the drop-down menu above. This package includes wall mount and multi-function mount which provides fine adjustment for aligning jobs and drop-ceiling installations.